Should You Avoid Cantel Medical Corp. (CMN)? Cantel Medical Corp. (NYSE:CMN) investors should pay attention to a decrease in activity from the world’s largest hedge funds of late. 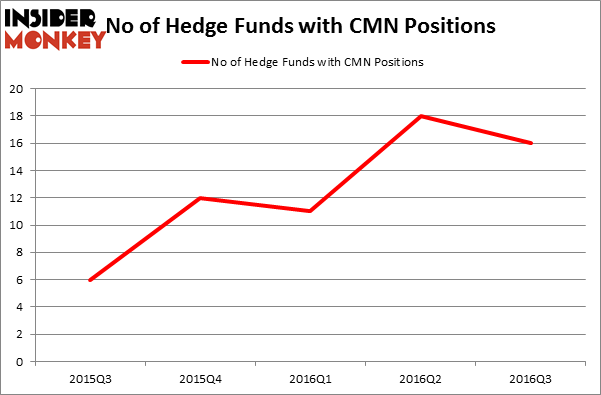 There were 16 hedge funds in our database with CMN holdings at the end of September, compared to 18 funds at the end of June. The level and the change in hedge fund popularity aren’t the only variables you need to analyze to decipher hedge funds’ perspectives. A stock may witness a boost in popularity but it may still be less popular than similarly priced stocks. That’s why at the end of this article we will examine companies such as Catalent Inc (NYSE:CTLT), EnLink Midstream LLC (NYSE:ENLC), and Helen of Troy Limited (NASDAQ:HELE) to gather more data points. Keeping this in mind, let’s take a peek at the latest action surrounding Cantel Medical Corp. (NYSE:CMN). 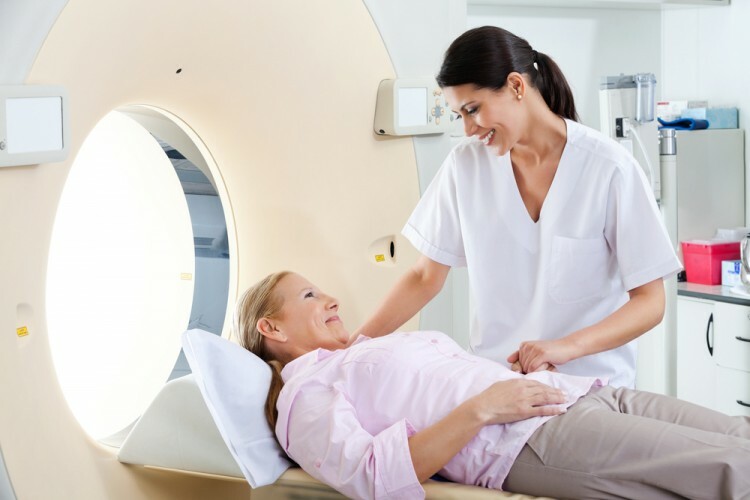 How are hedge funds trading Cantel Medical Corp. (NYSE:CMN)? At the end of the third quarter, 16 funds tracked by Insider Monkey were bullish on Cantel Medical Corp, which represents a drop of 11% over the quarter. On the other hand, there were a total of 12 hedge funds with a bullish position in CMN at the beginning of this year. So, let’s check out which hedge funds were among the top holders of the stock and which hedge funds were making big moves. Of the funds tracked by Insider Monkey, Mark N. Diker’s Diker Management holds the number one position in Cantel Medical Corp. (NYSE:CMN) which has a $143.6 million position in the stock, comprising 51.2% of its 13F portfolio. On Diker Management’s heels is Mario Gabelli’s GAMCO Investors which holds a $12.5 million position. Remaining hedge funds and institutional investors that are bullish comprise Peter Rathjens, Bruce Clarke and John Campbell’s Arrowstreet Capital, Louis Navellier’s Navellier & Associates, and Ken Griffin’s Citadel Investment Group. We should note that Diker Management is among our list of the 100 best performing hedge funds which is based on the performance of their 13F long positions in non-microcap stocks. Is Cryolife Inc (CRY) A Good Stock To Buy? Hedge Funds Are Selling Concordia International Corp (CXRX) Is Tobira Therapeutics Inc (TBRA) A Good Stock To Buy? Is Bottomline Technologies (EPAY) A Good Stock To Buy? Is Cohu, Inc. (COHU) A Good Stock To Buy Right Now? Is 2U Inc (TWOU) A Good Stock To Buy?